Weekly Photo Challenge: Split-second Chameleon. For this challenge, you have to take an early-morning walk in the Namib Desert. Look carefully for a little fellow that stays in trees in more forgiving surroundings. Here, he makes do with what he’s got: a desert with almost no vegetation. Be careful, for he’s a master at disguising himself. Okay, you’ve found him. It’s still cold, so he’s turned black to absorb heat. He won’t do much. WAIT…be patient. There, he’s warmed up, turned pink to ward off the heat, and on the hunt now. More patience, the desert is a big place At last! He’s found breakfast. But…how long is that tongue? Pick him up carefully. Careful now! He’ll turn blackish again to show his discomfort. Work slowly…his bite is far worse than his bark… Now tempt him with a dead fly. Will he? Won’t he…? Yessss! There you go. Action shot of a nice, long tongue. It took a few hours (well, it felt like that in the hot sun) but the split-second was worth it, wasn’t it? This entry was posted in Photography and tagged weekly photo challenge on May 31, 2014 by Amos van der Merwe. The group at the bar swivel round as one, to stare open-mouthed at the figure in the doorway. One cannot blame them for doing so. The man with the brilliant smile is dressed in a black coat with tails, a white shirt and tie, and a top hat. In his left hand he holds a silver-topped cane, while his right hand clutches a black book of considerable size. “Well,howdydoody to you, too, Come on in, have a drink.” Boggel recovers first, despite the feeling of unease coursing through his mind. “I’m Boggel,” he says, extending his hand. “My word….” Gertruida whispers with that voice she uses when she is surprised. Like we all know, that doesn’t happen frequently – but today she is. “Er…Mister Terblanche…Jeremiah…what denomination do you represent?” As elder in Oudoom’s church, Servaas feels he has the responsibility to protect the town against false prophets, Despite the man’s obvious zeal for his calling, one must be careful about these things. The man takes a deep breath. obviously fighting to keep the smile in place. He is about to continue, but Kleinpiet interrupts him. Later, they’ll all agree that something strange happened to the man when Kleinpiet addressed him in such a rude manner. His eyes darted this way and that and for the first time they noticed the trembling lips when he forced his smile even wider. At the time, everyone in the bar thought he or she was mistaken, but when they discussed it afterwards, they all mentioned the phenomenon. “You can help by telling us a bit more about yourself, sir.” For some reason, Precilla feels sorry for the man. Why would he barge in like this? What drives him? And so – in bits and pieces – they hear the sad tale of Jeremiah ‘Bull’ Terblanche. After losing his job as a clerk in Prieska’s co-op, he found out that able-bodied, middle-aged, white men have just about a zero chance of finding employment is South Africa. He tried everywhere, even to the point of applying for the job as a cleaner at the Oasis Casino. Eventually, broke and disheartened, he made a decision. “Look, there’s one thing we all worry about: what happens after this life is over? We can fool around with words, but nobody really knows what happens next. So that was my ticket to escape my dilemma. If I could tell people to live right and be saved, I’m not harming anybody, am I? And yes,” here he hangs his head, “I do ask for donations. The bigger the donation, the more I promise. Who’s to know whether I’m right or wrong? Anyway, it sure beats knocking on doors to ask for work you know you won’t get. In a way, I’m living my faith, see?” He’s almost pleading now. Jeremiah doesn’t answer. Without his top hat, he seems to be much smaller, almost shrunken, as he sits with his head in his hands. And now, right at this moment, the rumbling of Kalahari Vervoer’s lorry rattles the windows of Boggel’s Place when it trundles down Voortrekker Weg, A few minutes later, the driver enters the quiet little bar to stare at the group at the counter. It’s funny to take step back from Life every so often to look and really see the way we are directed to live our faith. Sometimes you have to reach rock bottom to realise what faith means and how precious it is. Take Jeremiah, for instance. He got the work as a clerk for Mister Fourie and is currently doing a correspondence course in theology. This, of course, doesn’t surprise the patrons in Boggel’s Place. What really impressed them was the rain the day after Jeremiah took that lift to Upington. That, and the way Vetfaan’s tractor started with the first try the next day. Servaas says they should read something in that. 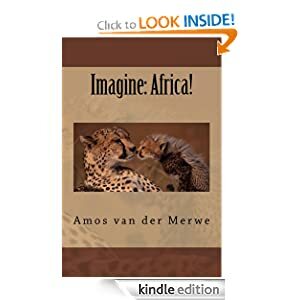 This entry was posted in short stories, smalltown short stories, Uncategorized and tagged faith, love, ope, postaday, WPLongform on May 30, 2014 by Amos van der Merwe. The patrons in Boggel’s Place shift around uncomfortably. Oudoom is right, of course…it’s the implication of what he’s saying that worries them. Thoughts are private things, after all, and do they not – all of them – sometimes think thoughts they are not proud of? Gertruida is quick to change the subject. A long, long time ago, in a cave near an oasis in the desert, a group of apes lived happily together. They’d share food, groom each other, and watch the children play. They lived a simple life, never quarrelled and slept soundly at night. One day, because it was winter and the cold wind forced them to remain in the cave, they were faced with a problem. The small ones were hungry while the adults huddled close. At last – not being able to listen to the whimpering of the hungry children any longer – one ape stood up and said they had to do something about it. They all knew he was lying, of course. But, because they didn’t want to confront him with the lie, they all remained silent. “Then we’ll have to choose one to go,” the female said eventually. Even in those times, they thought elections were the way to solve issues. Somehow this idea still persists to this day, even though everybody knows it only causes more problems. And that’s how the first elections took place. Yes, they all agreed, the One Who Had Spoken First should go. He grumbled, declared they were all unfair, and sulked in the corner. The rest of the tribe wouldn’t have any of that and said they’d all go out . And so it happened that the shivering troupe of apes went out in the freezing wind to fetch food for the little ones and for themselves. During their search, they came upon another cave, a bigger one, much better protected and warmer than their old home. And this she did. When she got to their old cave, the One Who Had Spoken First was glad to get rid of the wailing children. He also thought it was a trick to get him working as well, and refused to go along. He stayed behind in their old cave. However, there was a very good reason why that cave was uninhabited – or at least seemed empty. Far back in the dark recesses of the cave lived a huge python. It was his cave, And any traveller or animal that sought shelter there, was sure to end up as the python’s next meal. The python couldn’t believe his good luck. He was also very clever. No, he decided. he won’t eat them all at the same time. He’d slither out of his hiding place late at night, and swallow one of the apes every time the moon turns dark. The apes were upset, but they never realised what – exactly – was happening. All they knew, was that every so often, one of them would disappear. Then, one day when there were only a few left, the apes decided to return to their old cave. They discussed moving the next morning, not realising the python was listening to everything they said. So, that evening, the python set about swallowing the rest of the apes. One by one he’d slither up to a sleeping figure and do what he did best – first strangulating his victim before gorging himself. Gertruida’s story has them all hanging onto every word. Here and there a hand went up to a throat, while an involuntary shiver ran down quite a few spines. The remaining ape woke up with a start. He saw the snake. He looked around. And he screamed like no ape had done ever before. The python, however, would not be denied, and although he was very slow about it, he eventually silenced the ape by swallowing him as well. The One Who Had Spoken First, heard those terrible screams during the night. Not daring to venture out in the dark, he waited until dawn to investigate. He came upon that cave where the huge python lay with the massively bloated stomach. His fright at finding that such a horrible thing had happened, was complete. Regret about his selfishness and unwillingness to help his family, mixed with the realisation that he was responsible for the demise of the clan, made him stand there, mouth agape, unable to move. “He’s still there, on the other side of Bokkop, if you cared to look, you’ll find the place where he’s still standing. Over the years he has turned to stone as a reminder of the terrible destruction one causes when the intention to lie becomes a way of life. Anyway, that’s why we have no apes here in Rolbos.” Gertruida finishes her story so suddenly, that the group in the bar lets out a collective groan. “You should have a look at that boulder, Servaas. It is both ape and rock. It’s a hybrid, you see? Just like we are hybrids: we mix lies and truth. We love and we hate. We have the capacity to laugh and to cry. In the end, we’re composites of quite a number of conflicting abilities and emotions. Most of all, we manage to mingle good and evil into our daily lives so delicately, we don’t even notice it any more. This entry was posted in short stories, smalltown short stories, Uncategorized and tagged Africa, legends, myth, politics, postaday, WPLongform, writing challenge on May 29, 2014 by Amos van der Merwe. “It was in his genes, guys. His great-great-greatgrandfather – or whatever you call him so many generations ago – was one of the guides when Simon van der Stel explored Namaqualand in 1685. They found copper there, and a bit of silver. That’s when it started – this love affair with copper and brass.” Gertruida, who knows everything, proceeds to lecture them on that historic trip. “And now he lives in a mansion!” Pointing at the picture of the smiling old man in front of the huge house, Kleinpiet shakes his head. Life s so unfair! Here he is, working so hard on his farm, and he’d never own a property like that. Kleinpiet turns the page to show them the photo of Nkandla. Yes, they all agree, life is sometmes completely without any form of logic or justice. 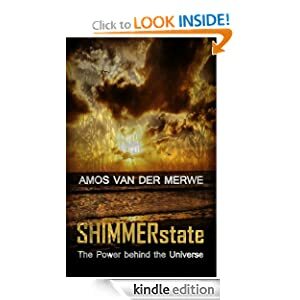 They don’t know about the little mine in the remote Richtersveld, where the man they know as Coppertone has discovered a strange line in the rocks. It doesn’t look like much, one must admit. Just a vein in the rock formation, shining dully if the sun catches it at the right angle. It is here, in this remote outcrop, that Coppertone gets the metal he melts to purify before creating his donkeys. However, the donkeys aren’t completely finished when they are exported. When the little statues reach the rich man in Beijing, the statuettes get the final touch. It is only here the man takes out the punch to carefully stamp 24 Ct on each of them. This entry was posted in short stories, smalltown short stories, Uncategorized and tagged humour, mystery, postaday, WPLongform on May 26, 2014 by Amos van der Merwe. What a wonderful theme – and Africa is always so willing to oblige. Twists in Africa? Of course…they’re everywhere! This entry was posted in Photography and tagged Africa, weekly photo challenge on May 24, 2014 by Amos van der Merwe. Gertruida sits down after discussing that wonderful work of literature by Charles Dickens. Boggel wipes a tear: he just loved the coming of age by the orphaned Pip, identifying strongly with the character. They’re silent for a moment, reflecting on the great writer’s ability to create poignant moments in his writing. Oudoom, who’s confined him to his study lately while working on a complicated sermon (Why do we have a corrupt government when the Bible tells us everything works out well for those who believe?) frowns. What is Gertruida talking about? Boggel serves a round on the house. Yes, they’ll be quietly optimistic about the reception of the books. And like things turned out for Pip, they expect happy smiles on the faces of readers once they get tstuck into the weird adventures the townsfolk become involved in. “What I’m saying, Servaas, is that readers experienced Dickens’ book in a variety of ways. Just like us, the characters interacted with the readers on different levels. Some will laugh, others cry, and yet others might frown. This entry was posted in publishing, short stories, smalltown short stories, Uncategorized and tagged blogging, great expectations, life, love, postaday on May 21, 2014 by Amos van der Merwe. Write a post about any topic you want, but in the style of an author or a blogger you admire. He then started writing under the name Herman Malan (his mother’s maiden name), becoming especially known for his dark stories and macabre plots. 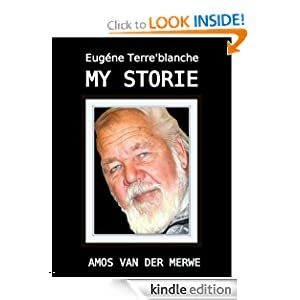 Later, paradoxically, he started writing extremely humorous stories in which Oom Schalk Lourens was the narrator. Bosman died in 1951, aged 46. It was only after his death that the public took notice of his work and recognition- like it so often and so cruelly does – finally came for the brilliance of this enigmatic man. I, like other simpletons, sweat, pore, write, rewrite, retype (many times over), curse, burn midnight oil to produce something between 2000 and 4000 words… I have spent a few bob at the races with just as much chance of remuneration (or loss) as writing a short story. Jurie Els shakes his head. They’ve been sitting in the old post office drinking peach brandy all afternoon, and Oom Schalk keeps on harping on about the old days. Can’t the man move on with the times? After all, the town has progressed remarkably in the last few years. Sometimes, Oom Schalk Lourens says, he thinks back on the time he spent in jail, that time he tried to smuggle cattle from Bechuanaland. He talks about the clothes he got for free and the three meals every day. He also got a few other things, like lice, for instance. But, he says, that’s progress for you – it always comes with a price. We always laugh when he talks about these things. Laugh loudly, slapping him on the shoulder and telling him how good his memory is. We want to make him talk about long ago, see, so he won’t talk about the present. And when he gets going, we make sure his glass remains full and then we laugh some more. But always, when the bottle is empty, Oom Schalk falls silent and tells us his hayfever is acting up again. That’s when he borrows Floris van Barneveldt’s handkerchief to wipe his eyes and nose. And then he’d stare out of the window; stare at the potholed road that leads to the township; and he’d shake his head. Of course we laugh when he says this, like we always do. This time Oom Schalk surpises us by digging out his own handkerchief. He says nowadays a man must carry his own in his pocket, because there’s so much dust in the air. 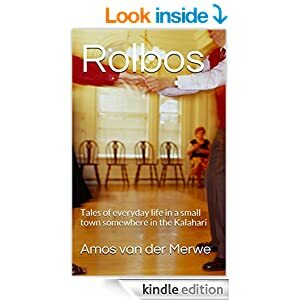 This entry was posted in Biography, short stories, smalltown short stories, Uncategorized and tagged author, Herman Charles Bosman, postaday, writing challenge on May 19, 2014 by Amos van der Merwe. Weekly Photo Challenge: Work of Art. The challenge: “Art” isn’t just paintings and sculptures, it can be anything in which we find beauty and meaning — even food. Show us a thing, place, or person that’s a work of art to you. This entry was posted in Photography on May 17, 2014 by Amos van der Merwe. “Ants, my dear, have been around longer than humans. They’ve evolved with time and now inhabit every continent except Antarctica.” Gertruida just can’t allow a chance to lecture pass by. “Remember Eugene Marais? He wrote The Soul of the White Ant, a stunning piece of work for that time. First published as a series of articles in Die Huisgenoot, from 1925 to 1926, the English and Afrikaans versions were only published in book form later. “Marais was a keen observer. Trained as a lawyer, he had considerable medical knowledge as well – seems he picked this up during his studies in London from 1897 to about 1902. At the time, he was a widower, a morphine user and a seasoned journalist. He picked up other skills as well, the most notable of these his ability to hypnotise both people as well as animals. “You mean like bees work together as a unit, so do ants?” Kleinpiet thinks of all the cans of Doom he’s emptied on the lines of ants carting off his sugar. “But he did a lot of good, as well.” Defending the memory, Precilla forges ahead. “Despite his lack of training, he delivered babies, operated on extremely sick men and women; and as far as I know, he never lost a patient, either. That’s not bad for a lawyer. There’s also a famous story about how he hypnotised a paralysed woman and she started walking again. “Piet?” They chorus together, not sure if she’s referring to Kleinpiet’s family. Vetfaan uses his scuffed boot to divert another ant from tumbling into the antlion’s trap. “…and it’ll be centuries before mankind stumbles upon that solution. Or never. At least, I can’t see it happening in South Africa soon.” Kleinpiet smirks at his clever remark. “Oh no!” Gertruida wags a friendly finger at him. “We’ve got ants. Lots of them. Fire ants are what we’ve got. Nasty critters with venomous stings and strong little pinchers. They raid and kill. Sadly, they don’t live in mounds and ant heaps – they have huge houses they build with taxpayer’s money. In every laugh hides a sigh of pain. 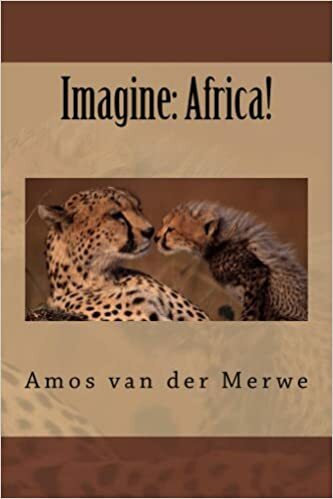 This entry was posted in Biography, short stories, smalltown short stories, Uncategorized and tagged Eugene Marais, postaday, society, WPLongform on May 16, 2014 by Amos van der Merwe. “Well, they have a distinct disadvantage when you compare them to jackals and swans, if that’s what you’re getting at. But we mustn’t be harsh. When last did you see Boggel before he brushed his teeth in the morning? Man, now there’s a sight to scare small children with.” He’s teasing, of course. Kleinpiet actually likes the little bent barman a lot. In the stifling heat of a typical Kalahari day, the townsfolk have assembled under the veranda in front of the bar, where Gertruida now stops fanning herself. Gertruida gets up to stand behind her chair. They all know she wants to deliver another lecture, so they quickly order another round. Gertruida can lecture the legs off a donkey when she’s in the mood. “One of the most beautiful things in nature happens with that poor animal you so wrongly judge to be ugly. Sure, it’s got jaws. And sure, it has a bit of venom. And yes, it waits patiently at the bottom of the little pit it dug without hands or tools. “At least, it isn’t devious about what it’s doing. That hole is there for anyone to see. If you get trapped there, it’s because you weren’t paying attention. The antlion only does what it has to do. “Now, consider the 2,000 species of insects in the family Myrmeleontida. They occur world-wide, but prefer to live under inhospitable circumstances. They don’t like a crowd, you see? They are called by many names: Little Dog of the Wood, Pit Elephant, Doodlebug, Little Armadillo and Vulture Louse. The Spanish call it Tonto – Little Bull – which always reminds me of the famous Indian in the cowboy stories. “What is interesting, is the little pit you observe down there. That’s made by a larva – the baby that emerged from the egg it’s mother laid. At first, it practices its trade from a small pit, catching small prey. As it grows, it makes larger and larger pits to catch more appetising meals. “What next stage?” Vetfaan has seen large areas of the Kalahari with these little pits, and never thought much about it. An antlion is an antlion – you don’t end up studying them, for goodness sakes! Now, with Gertruida in full cry, he is strangely intrigued. Warming to her subject, she tells them how the helpless, ugly creature becomes a little silk-lined cocoon. After a month of so in this pupal stage, they finally emerge as an adult insect. “The transformation is remarkable. The helpless, immature larva emerges from the cocoon as a beautiful little animal, much larger than the antlion, it is able to fly. People often confuse them with dragonflies, unless they pay attention to the clubbed antennae of the lacewing. “Mostly nocturnal, they even get swatted by people who take them to be largish mosquitoes. Ever the romantic, Precilla smiles shyly. They watch as an ant tumbles down the steep side of the pit. The waiting antlion pounces immediately, dragging it’s prey below the surface. “Like love, Gertruida?” Vetfaan doesn’t get it. Boggel gets up put an empty bottle near the antlion’s pit. This entry was posted in short stories, smalltown short stories, Uncategorized and tagged ant lion, antlion, daily prompt, fable, love, postaday, San, WPLongform, WPlongform. daily prompt on May 14, 2014 by Amos van der Merwe.